Agreed, this thread will end up like the last one unless it stays within the realm of spaceflight. which is odd, because space is a great place to test this. I suggest those of you concerned that NASA is not testing this yet in space make your representations to them. Ok, let's break it down a bit simpler. How many units of energy are being used to produce how many units of thrust? Newtons as the unit of measure could work. I remember reading about VASIMR the other day and found that NASA spends $210 million annually in fuel costs just to reboost the ISS. 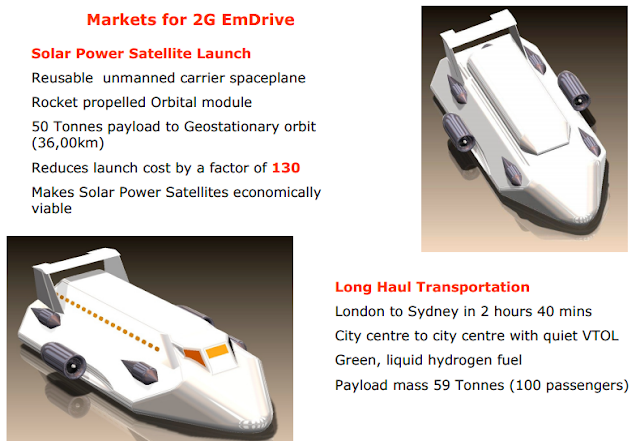 So there's the above potential application, and the cost savings which are potential (if it works) space flight applications. I read your post and you are being heard. Please give this unproven technology some time to fail or fly. I don't know what it can do yet. For all we know EMdrives could all be a mistake. Energy can be expressed in units of Force*displacement (for example, Joule=Newton*meter), and Thrust is a Force of course. Whether one uses Newtons, KilogramForce, PoundForce, or any other (arbitrary but consistent) unit to measure Force, the unit of Energy/Thrust is the unit of length, because Energy/Thrust = Force*displacement/Force = displacement, and displacement has units of length. Regarding the experiments, it took a given amount of input power to produce a constant EM Drive force. For example,Shawyer reported (for his "Shawyer Demo") a measured force = 0.1023 Newtons (1/10th of a Newton) for a power input of 421 watts. NASA Eagleworks (Brady et.al) reported (for the TE mode of the truncated cone) a measured force = 0.00005541 Newtons (55.41 MicroNewtons) for a power input of 2.6 watts. Since Energy is the integral of Power with respect to time, the amount of input Energy required to produce the (approximately constant) thrust force, at (effectively) constant power, was (effectively) a linearly increasing function of time. So, it is Power/Thrust -which has units of velocity- (or inversely, Thrust/Power) rather than Energy/Thrust that NASA Eagleworks (Brady, March, White et.al.) 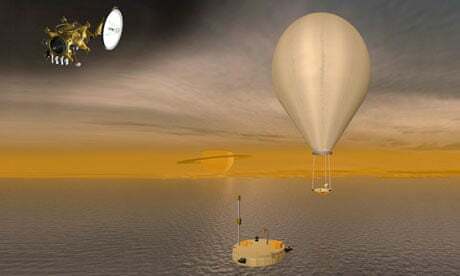 used (at its own peril) to scale-up for their proposed EM Drive missions to Mars, Enceladus, etc. EDIT: Notice that NASA Eagleworks assumed a 2 MegaWatt Power Input for the crewed Mars and Enceladus missions. A 2 MegaWatt Power Input seems to require a Nuclear Power Input in the spacecraft. 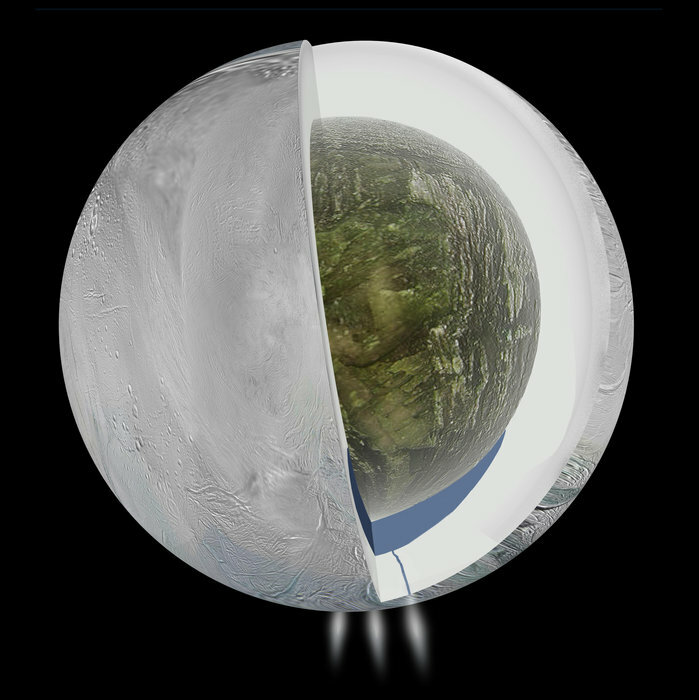 For the Mars and Enceladus crewed missions they assumed 0.4 N/kW Thrust/PowerInput, which is certainly feasible for a Superconducting EM Drive (the Canae Superconducting experiment reported almost 1 N/kW). Certainly much more conservative than Shawyer's 30000 N/kW assumption used in his projection for a superconducting Shawyer flying car (which assumes a Q of 5 billion). Since the thrust/power ratio of these devices is pretty bad, they are severely limited by the amount of electrical power you can put on orbit.
" The complete power system, consisting of U.S. and Russian hardware, generates 110 kilowatts (kW) total power, about as much as 55 houses would typically use. Approximately 30 kW are available for research activities." So we really don't have very much electrical power to play with in space. Factoring in efficiencies such as what SLAC (most powerful klystrons I could find, while thinking about manned missions) reports on their Klystrons; http://www.slac.stanford.edu/cgi-wrap/getdoc/slac-pub-10620.pdf the best I see is around 70%. Two interesting things I found about high power space flight projects at none other than JSC. What is also interesting is that both of these mention Q-thrusters. Let's better hope that compact (preferably p-B11 direct-conversion) fusion generators will be implemented soon. Lockheed Martin et al. are working on these things and LM have announced a prototype reactor (100MW class) for around 2019/20. 100MW should be enough for a little spaceship. I wonder when new experimental results will be published by NASA. The static thrust/power ratio is calculated assuming a superconducting EmDrive with a Q of 5 x 109. This Q value is routinely achieved in superconducting cavities." You meant to write "assuming a superconducting EmDrive with a Q of 5 * 10^9" = 5,000,000,000 (five billion) (rather than Q = 5 x 109 =545). In his IAC 2014 October 2014 presentation Shawyer (in his slide #3 in http://www.emdrive.com/iac2014presentation.pdf ) instead uses a projected Q = 5*(10^7), which is 100 times less than the value assumed by Shawyer for the above 30kN/kW projection. Reviewing actual published data, the maximum Q measurement for a superconducting EM Drive I have seen reported is for the Canae superconducting drive experiment which gave a Q = 1.1*(10^7), this is 500 times less than the value assumed by Shawyer for the above 30kN/kW projection. Also comparing with actual experimental data, Canae's measured ForcePerPowerInput for the superconducting Canae experiment was only 0.7619 to 0.9524 N/kW, which is 31500 times less than the 30kN/kW projection, therefore besides the decrease in thrust by a factor of 500 due to the lower actual Q, there was another factor decreasing thrust (by a factor of 63 times) in the actual experimental reported results (500*63=31500) as compared to Shawyer's optimistic 30kN/kW projection.. Reviewing actual published data, the maximum Q actually measured for a superconducting EM Drive I have seen reported is for the Canae superconducting drive experiment which gave a Q = 1.1*(10^7), this is 500 times less than the value assumed by Shawyer for the above 30kN/kW projection. Also comparing with actual experimental data, Canae's measured ForcePerPowerInput for the superconducting Canae experiment was only 0.7619 to 0.9524 N/kW, which is 31500 times less than the 30kN/kW projection, therefore besides the decrease in thrust by a factor of 500 due to the lower actual Q, there was another factor of decrease in thrust (by a factor of 63 times) in the actual performance of the experiment (500*63=31500). On the plus side, with the right power source, 0.7619 Newtons from a kilowatt of electricity is still, probably, enough thrust to displace rockets for orbital insertion. It's not competing with airplanes, but it is an exciting number. 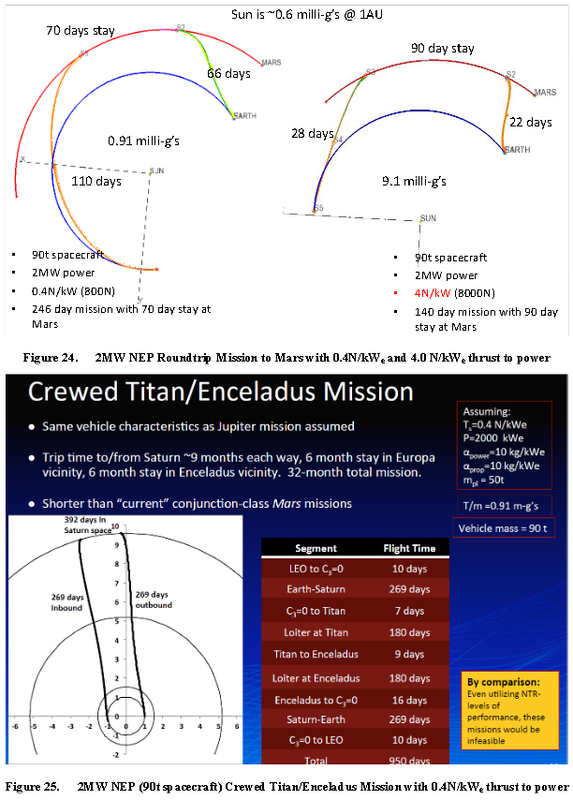 For the Mars and Titan/Enceladus crewed missions NASA Eagleworks assumed 0.4 N/kW Thrust/PowerInput, which is certainly feasible for a Superconducting EM Drive (the Canae Superconducting experiment reported almost 1 N/kW). Certainly much more conservative than Shawyer's 30000 N/kW assumption used in his projection for a superconducting Shawyer flying car (which assumes a Q of 5 billion). EDIT: and the Chinese (Prof. Juan Yang) have reported (for their ambient-temperature non-superconducting EM Drive) experimental measurements of 0.29 N/kW Thrust/PowerInput, which is not too far off (-28% difference) from the 0.4 N/kW Thrust/PowerInput assumed by NASA Eagleworks for the Mars and Enceladus crewed missions. Nah, just point out the opportunities out there. So when in a reasonable setup with a 20 watts of input power, you are hoping to generate zero point zero zero zero zero zero and then some point oh millinewtons of linear thrust, or torque, doesn't really matter ( again, see xkcd #1404 ) .. any mentions of levitating cars and interstellar travel is just eroding the credibility of the whole thing. Cubesat , even a whopping 3U one is not that difficult to get to orbit, and is demonstrably well within the capabilities of crowdfunding even. Getting a NIAC grant also works, although SBIR might be a stretch, at this point. it may be that i have an outdated reader but those pdfs fail to load for me. the first gets 2/3s of the way loaded according to the progress bar and then hangs. the second gets 1/4 of the way loaded and then hangs. The near term focus of the laboratory work is focused on gathering performance data to support development of a Q-thruster engineering prototype targeting Reaction Control System (RCS) applications with force range of 0.1-1 N with corresponding input power range of 0.3-3 kW. Up first will be testing of a refurbished test article to duplicate historical performance on the high fidelity torsion pendulum (1-4 mN at 10-40 W). The team is maintaining a dialogue with the ISS national labs office for an on orbit DTO. How would Q-thrusters revolutionize human exploration of the outer planets? Making minimal extrapolation of performance, assessments show that delivery of a 50 mT payload to Jovian orbit can be accomplished in 35 days with a 2 MW power source [specific force of thruster (N/kW) is based on potential measured thrust performance in lab, propulsion mass (Q-thrusters) would be additional 20 mT (10 kg/kW), and associate power system would be 20 mT (10 kg/kW)]. Q-thruster performance allows the use of nuclear reactor technology that would not require MHD conversion or other more complicated schemes to accomplish single digit specific mass performance usually required for standard electric propulsion systems to the outer solar system. In 70 days, the same system could reach the orbit of Saturn. Despite claimed differing operating principles, the 'Q-Thruster' and Woodward/ME device appear to differ in minor detail, in terms of construction and results. At least that is my (possibly badly flawed) understanding. Heated debates about this in the old thread contributed to its demise. We attempt to keep Woodward/Mach out of this thread, but the equations and thoughts keep heading that way. Yeah it's a MLT. You can tell by the pixels caps. Essentially when these devices get through the door over at Eagleworks, it seems the favored theory of operation for all these devices becomes the White model. It is his house after all. And I believe this is for good reason. Paul March seems to believe these devices are related, yet their theories diverge. His actual words, "Dr. Woodward maintains that the M-E's mass fluctuations occur in the "squishy" intermolecular chemical bonds of the dielectric and not in the rest mass of the ions in question. Next question is what are these squishy intermolecular chemical bonds made of? They are typically called covalent sharing of molecular electrons and/or an imbalance of ionic electric charges between the charged ions. Ok then what is in between the electrons and ions in these dielectric molecules that is affected by the M-E equation's transient gravity waves, or in other words what do the M-E's pressure transients in the cosmological gravitational field affect in between the molecules that for all practical purposes is a pure vacuum state. A vacuum state filled only with virtual photons of the electric fields and perhaps the virtual e/p pairs of the quantum vacuum. That is why I continue to say that Dr. White in only trying to answer what Woodward's M-E "gravity" pressure waves are effecting at the molecular and subatomic scales. A place that Dr. Woodward refuses to go to this date except perhaps in his musings on the ADM electron structure where the gravitational field is used to counter balance the electrostatic field forces, but once again ignoring the basic question of what either of these fields are composed of. That is supposed to be the realm of quantum gravity, but since no one has come up with an accepted answer for same, Dr. White is free to suggest his own." The issue is discussed here: http://www.talk-polywell.org/bb/viewtopic.php?t=2949&p=115985 He goes on to mention that Woodward doesn't address some issues relating to ME and how it effects covalent bonds and because of that, Dr. White is free to make his own conclusions to fill in the gaps. Further on in the thread, it becomes clear that the supposed ME/EM dichotomy really boils down to what the origin of inertia is. Now enter EMdrive developments thread 1 and 2, and a thorough research of the inertia issue using all available evidence, it was concluded by myself and others that these devices do in fact share the same mechanism of operation and that the theories supporting both types (Woodward, White, Shawyer, Fetta) had their own unique issues, but no dichotomy was required. The same effect was happening with varying success (http://forum.nasaspaceflight.com/index.php?topic=36313.msg1302455#msg1302455) in each of these devices and this success was directly informed by design, further informed by theory held by the inventors. As very recently supported by Dr. Rodal's research, here: http://forum.nasaspaceflight.com/index.php?topic=36313.msg1307817#msg1307817, inertia isn't simply caused by one single thing. Evidence keeps piling up which supports we need to cast off old theories and think differently about things. Ok, so how does all of this I just banged out relate to space flight applications I ask myself? It is the same as trying to build a better mouse trap. If a lab or inventor is hell bent on building a device that interacts with theoretical X in Y fashion, trying to achieve thrust, to the exclusion of all other ideas, and it continues to not work so well for them...., we're going to go nowhere fast. I think the attachment sums this up nicely. The truth is buried within the noise. Find it? Then we'll have some all electric space flight action. From what I'm seeing coming out of Eagleworks, they are using sound scientific methods to test/develop these (still not completely vetted) theories and more importantly they are using lessons learned and applying them to the future. For example, in the Eagleworks Newsletter 2013 (https://xa.yimg.com/kq/groups/86787010/513081407/name/Eagleworks+Newsletter+2013.pdf), they concluded the "magnitude of the thrust is dependent on the AC content of the turn-on and turn-off pulse" in the first device and further concluded "...confirms that the RF approach will be a quicker path to long-life flight thrusters" with the Cannae. This shows that an AC signal is important, a key insight. Next came the Anomalous thrust production...(http://www.libertariannews.org/wp-content/uploads/2014/07/AnomalousThrustProductionFromanRFTestDevice-BradyEtAl.pdf) paper, which continued using the RF approach. Most importantly what they didn't do was the same thing over and over and over again.